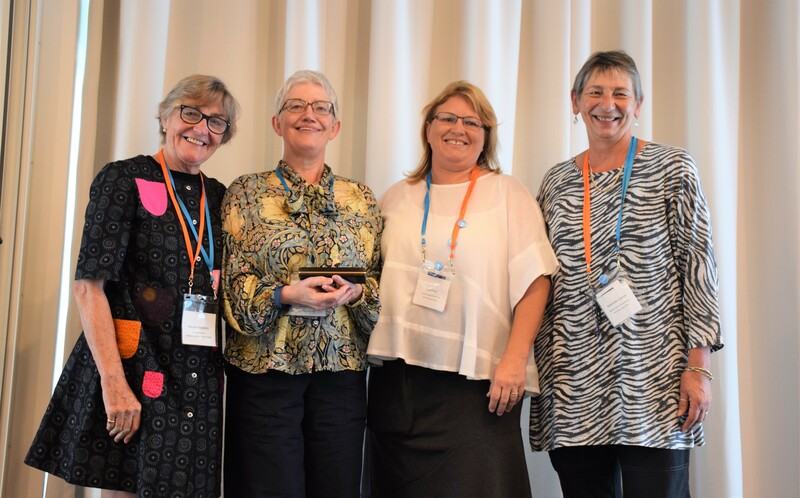 INTERNATIONAL ARTS AND HEALTH Conference convener Margret Meagher announced last week in Port Macquarie that the 10th anniversary conference would also be the last in the current format. “It’s time for me to move in a different direction,” she said, pointing to wanting to spend more time with her family, and her work for the expanding Hello Koalas Sculpture Trail. “It doesn’t diminish my love and passion for Arts and Health, I just think that with these partnerships we will find different ways to deliver this message … This is another family to me. 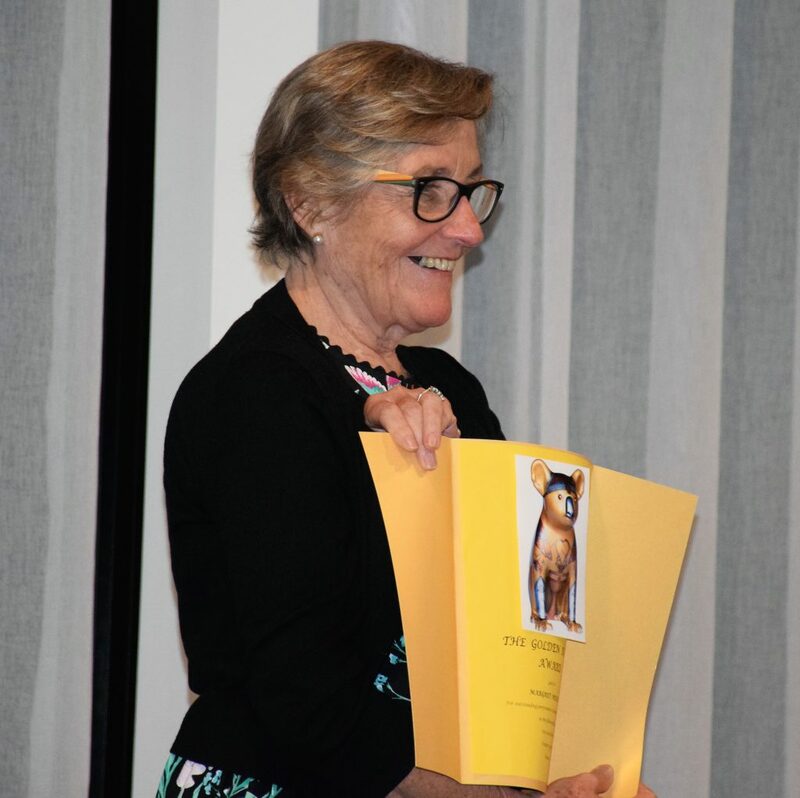 She was presented with the inaugural Golden Koala for her inspiration, dedication and generosity to Arts and Health, and particularly Creative Ageing, at the official conference dinner on Wednesday night. Longtime UK friend and Arts and Health consultant Elaine Burke, was among those to pay tribute to Margret and “her ability to take anything and dream really, really big, and make it happen”. “She has the capacity to talk to anyone, get to know them, persuade them and get them to do what she wants … everyone in this room is testament to that! The more ceremonial awards for excellence were presented on the final day, after the difficult task of having to choose from a field of some of the best, brightest and most passionate in their fields. 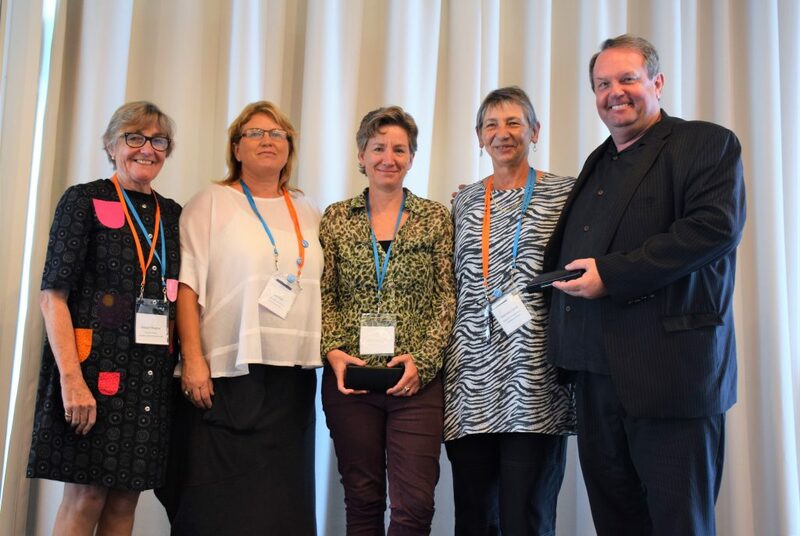 Arts And Health in Hospitals and Health Promotion: Michelle Cripps, for her outstanding work with Adelaide Hospital. The Arts and Community Health: Louise Faulkner, from NSW State Forests. 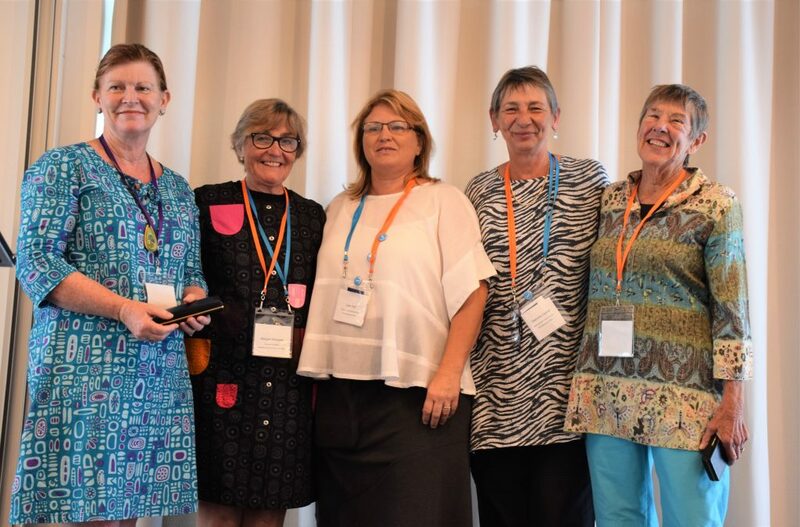 Arts and Health in Regional Australia: Jude Crabtree and Carol Gaston for their work in the APY Lands. Arts and Health in Education and Research: Mary Robson, Durham University. 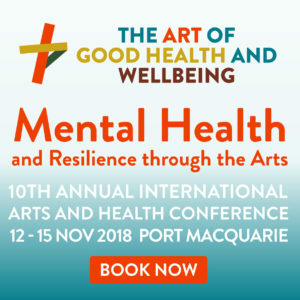 Mental Health and the Arts: Mahlie Jewell, mental health advocate. Creative Ageing: Michelle Royce, Sawtell Catholic Care of the Aged and Dale Feeney deputy director care services at the Whiddon Group, Laurieton. National Leadership in Arts and Health: Adrian Boag, program producer National Gallery of Australia, Canberra. 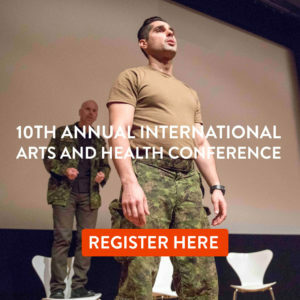 International Leadership in Arts and Health: jointly to Alice Thwaite of Equal Arts, UK, and Gary Glazner of the Alzheimer’s Poetry Project, USA. A special award for Gabbie Carroll: conference chair and Margret’s partner in making things happen for the past 10 years.